This month’s featured lifter is PAULIE STEINMAN. Although I have always lifted heavy things, my 20-year-old self would never have imagined that Powerlifting would every be my current full-time job. As a teen, I practiced Judo at my local Recreation Center and I distinctly remember my first exposure to weights being a beat up Universal machine in the basement of the Recreation Center. I graduated from NYU with a BFA in Film in 1991. For those of you who are trying to do the math, that makes me 48 years old. I worked as a Grip in the film industry for about 15 years and then I went on to start and run a screen printing and embroidery factory with my wife, Becca, for about 10 years. There was definitely some overlap with being a grip and running the other business. I always belonged to some kind of commercial gym but I never really had any kind of training program. In 2009 I wanted a change in the way I trained. I had heard about CrossFit which had not yet hit the mainstream. I enjoyed the group training and I eventually found myself cherry picking the strength exercises. I became increasingly less interested in doing things like high-frequency barbell snatches for time. After a while, training at the local CrossFit was not enough to satisfy my desire for lifting heavy things so I bought a power rack and I picked up a few certifications. This all quickly evolved into the founding of the South Brooklyn Weightlifting Club (SBWC) in 2010. Since then, SBWC has expanded and moved twice with the most recent move being into a 5,000 square foot facility located in the Gowanus neighborhood of Brooklyn, NY. I am also the co-State Chair for New York. Paulie Steinman: The simplicity of training with a barbell has always appealed to me and I have always wanted to train for strength. It was a bonus when I learned that Powerlifting was an actual sport where you can compete almost exactly the way that you train. PS: I don’t recall exactly but I believe it was 2010 in NJ. PS: Everything! I knew nothing back then compared to what I know now. I still feel like I have barely scratched the surface. I believe that my advice for a newbie powerlifter will apply here as well. PS: My future in powerlifting is to continue to be involved in the sport in all aspects and at all levels. Since I have built the South Brooklyn Weightlifting Club, my focus has shifted from being a lifter to being a coach. Don’t get me wrong, I still train but in 2018 I attended 4 IPF World Championships as a coach! I have been the head coach of the USA Powerlifting Classic Masters Team since 2016. I have experience working with both raw and equipped lifters at all levels. In addition to being a coach, I am very involved with Powerlifting on many levels. 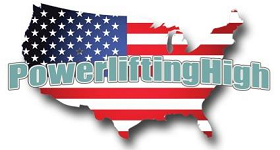 I am an IPF Category II referee, I have been chair of the USA Powerlifting Regional Committee since 2016, I have been a member of the USA Powerlifting Executive Committee since 2016, and I am one of the USA Powerlifting Coaching Course instructors. PS: Right now, bench press because, generally, it’s all I have time for. I also like the deadlift and the squat in that order. PS: Whatever lift is frustrating me at the time! PS: I have been working with Mike Tuscherer and Reactive Training Systems (RTS) since 2013. Since then, I have become one of Mike’s online coaches. I found RTS because I was looking for a way to train AND manage my daily stress. The training worked for me and I introduced this style of training to many of the members of SBWC. PS: I suggest that the newbie powerlifter finds a good coach and a positive training environment ASAP. A good coach will help you build technique and avoid newbie pitfalls. A positive training environment will make training that much more enjoyable and you have the support of your training partners, teammates, and club members. PS: I’m happy with the fact that I got into powerlifting when I was in my late thirties. There is the constant lament were everyone wishes that they got started when they were young. For me, starting at a later age has allowed me to bring all of my life experience into powerlifting and that means a lot as a coach. PS: At the risk of sounding corny, all of the lifters who I coach and the lifters who put in work are my favorites. I love powerlifting that much!